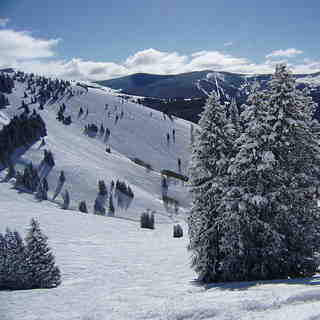 Vail will bring you what is, arguably, the best vacation experience in the world. The mountain offers virtually everything from the Lionshead cruisers to the, justifiably, famous Back Bowls. 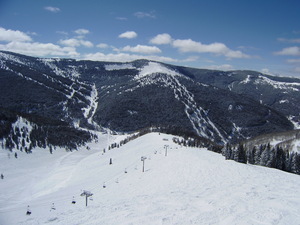 The new Blue Sky Basin has catapulted Vail back to the top of the heap in virtually everyone's opinion. The Bavarian-like Village at the base is pedestrian-friendly and charming. The shopping is upscale. There are more than 150 lodging options that provide for all tastes and budgets including hotels, bed and breakfast inns, homes, and condominiums. There are also a number of quaint villages and towns nestled in the Vail Valley, where you can find the perfect place to stay with exactly what you are looking for. 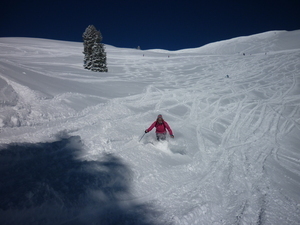 One reviewer states the following: "Europe is sick on its day, but the powder is not as light as the Rockies, and is much more avalanche prone if you go off-piste." 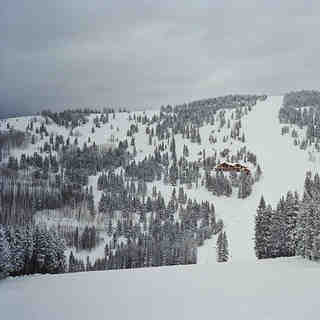 --- This is a disservice to the community here and gravely understates the risk to off-piste skiers in the Vail area. Colorado and it's continental snowpack is one of the most dangerous in the world for avalanche risk. The Alps are much safer, as the snowpack stabilizes much faster after storms versus the long-term and deep instabilities found in the USA's Central Rcckies. 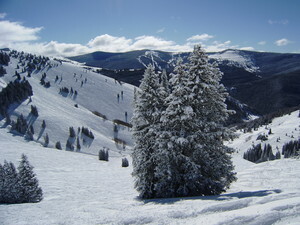 Do not take out-of-bounds or off-piste skiing lightly at Vail or anywhere else in Colorado. To suggest that somehow the snowpack in Vail is "safe" is akin to saying that a revolver with only one bullet in the six chamber gun is is "safe" when playing Russian Roulette. For those that would ski Vail's off-piste (outside the controlled ski area boundary), you will need a beacon, shovel, probe and the ability to use these tools. The best source of snowpack and avalanche information for backcountry and off-piste travellers in the Vail area and the rest of Colorado is the Colorado Avalanche Information Center. Google it and check out the local and regional forecasts prior to leaving the resort boundaries.